The 1948 gift that keeps on giving, the Polaroid camera has never really gone out of fashion. The instant film design creates a printout in seconds for an old school vibe of classic photography. Polaroid cameras have changed somewhat since their first 1940’s introduction (luckily) and have various new designs and options to choose from. But which are worth the money and which are purely hype? 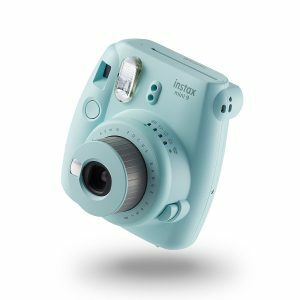 Our number 1 choice for a polaroid picture snapper is the Instax Mini 9, coming in a variety of pastel colours including flamingo pink, ice blue and smoky white meaning plenty of choice to suit your personality. Coming with a price tag of under £70, the camera itself is reasonably priced and contains a selfie mirror and close-up lens for perfect portraits and spectacular selfies. A new high-key mode allows for automatic exposure and brighter photos meaning you’ll never waste a print. Photos are produced credit-card sized meaning that creativity can be shown in an instant and slotted straight into your wallet or purse. An included hand strap prevents dropping of the camera during festivals or in the garden, allowing a fantastic camera for a great price. Another polaroid camera from Instax comes in the form of the Mini 90 NEO Classic, at a price point just shy of £120. 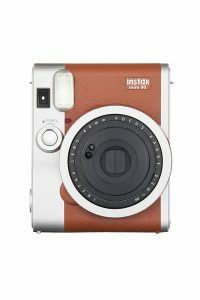 Available in both black and brown, Instax provides an elegant retro-look design for a step-up in instant film photography. The Mini 90 features double exposure, bulb exposure and flash adjustment among other higher level options creating the perfect printout in seconds. A provided shoulder strap helps to keep shots steady and the camera safe in every situation. 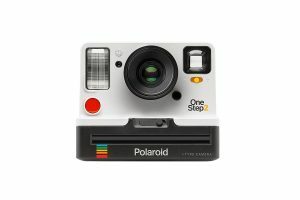 A Polaroid Original, the 9003 OneStep 2 i-Type Instant Camera comes from the original instant film cameras, Polaroid. Coming to fame (not solely) with the OutKast lyric ‘shake it like a Polaroid picture’, the images themselves should not be shaken as this reduces the image quality, boringly. Coming in black or white, the sub £95 instant film camera features a high quality lens and powerful flash ensuring fantastic photos every time. A long-lasting USB rechargeable battery means you’ll always be ready to snap and recharge whenever you’re ready.